Six of the country's seven squads are still in the hunt for playoff spots, making each of this year's Hockey Day in Canada matchups an opportunity to collect crucial points. 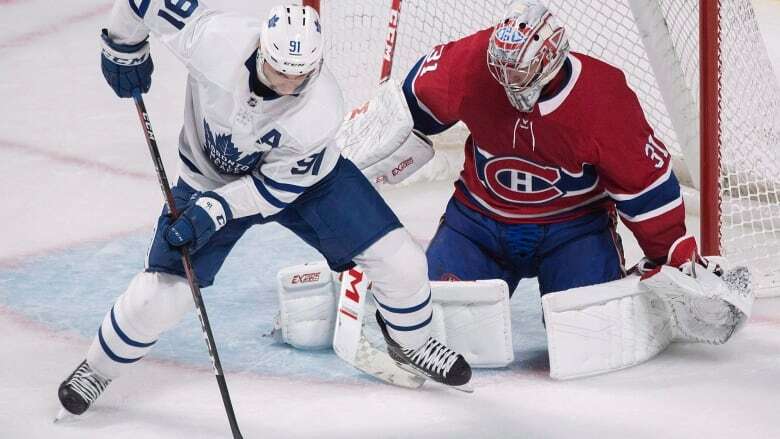 This year's event is based in Swift Current, Sask., but the highlight takes place in Montreal, where the Canadiens host the Toronto Maple Leafs in a battle that could foreshadow a first-round playoff series. "I still remember when it was in Winnipeg and I was like seven or eight-years-old and my dad was one of the guys who got to go on camera and ask Don Cherry a question," he said Thursday. "And I remember thinking that was the coolest thing in the world." "It just makes you proud to be Canadian. I still love getting on the outdoor rink," said the Ottawa centre. "When I go home I have a big bunch of buddies who get together and we're always talking hockey and we have a big group chat. It's been really nice to be able to get home and enjoy those moments." They'll have to play a different game to beat Ottawa, said Brendan Lemieux. "We just have to be better. And if we clean up our game, we can beat anybody. But if we're not sharp, this is the NHL and they're getting paid too, anybody can beat us," the Jets left-winger said after the Montreal loss. 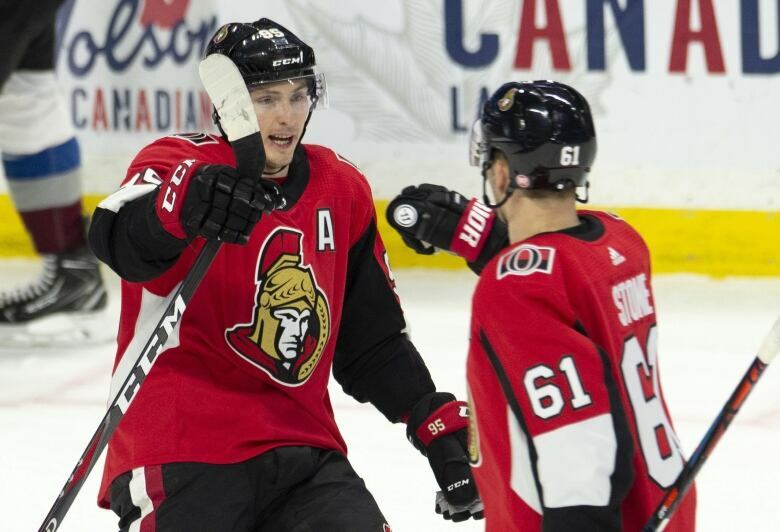 Ottawa is lingering at the bottom of the Eastern Conference standings with just 45 points, but Winnipeg goalie Connor Hellebuyck said the team shouldn't be underestimated. "They're a team that's doing well, we're a team that's doing well," he said. "We'd both like to be higher in the standings. It's an important game. They're a good hockey club, we're a good hockey club. Something's got to give." 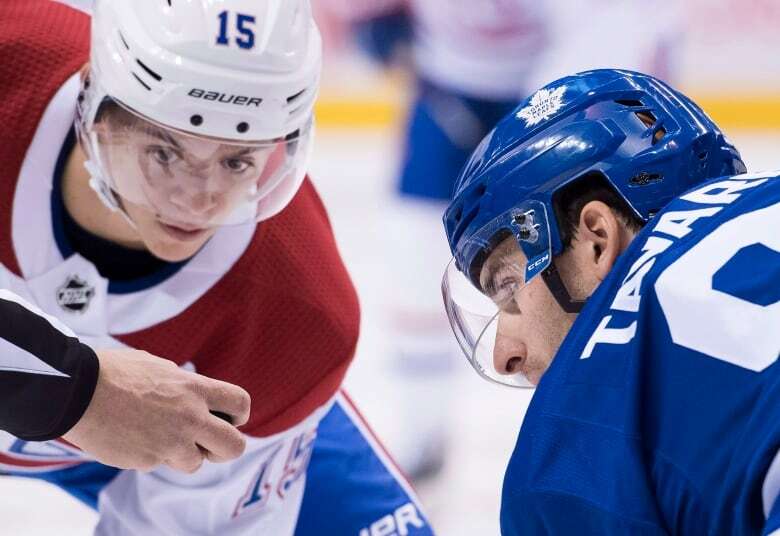 Facing the Leafs in Toronto will be another "playoff-type game," said Montreal centre Phillip Danault. "We want to keep getting points to make the playoffs," he said after the Canadiens' win over Winnipeg. "We know it's a really good team. They're playing well, too. A lot of skill. It's always been a big battle and rivalry against the Leafs. It's going to be exciting." Babcock was watching the Winnipeg-Montreal game and said he saw a Canadiens team that's playing with good speed and some hot lines. Still, the coach is confident going into Saturday's game. "We've good players too," he said. "And we're going to put good players on the ice and they're going to have to worry about defending us as well. Ideally we play right and we play fast and it turns into one heck of a hockey game." "We've got a blueprint for success on the road and we've got to take our road game back home and not try to dance with other teams," coach Ken Hitchcock said after the victory. "We're built a certain way right now and we've got to play this way to win hockey games. We're doing it on the road and I see no reason why we can't take it home and hopefully play the same way there." "Obviously, playing in the U.S., we don't get as many opportunities as you do in Canada, to play on Hockey Night in Canada. It's something that I know, as Canadians, you look forward to and it's easy to get excited for," said Vancouver native Evander Kane. The Flames top the Pacific Division with 73 points, but they head into Vancouver following Thursday's tough home loss to San Jose. "It didn't go our way tonight and we've got a big stretch of games coming up, big road trip starting in Vancouver, so we've got to shake with one off and come back ready to play in Van," Calgary centre Mark Jankowski said after the defeat. Expectations for the Canucks weren't high coming into the season but Vancouver remains firmly in the playoff race. They were tied with the St. Louis Blues in points on Friday, but the Blues held control of the Western Conference's final playoff spot having played fewer games. "We've just got to get some practice in and make sure we're all clicking and on the same page and start from scratch and just kind of erase the past and start over," Canucks right-winger Brock Boeser said after the loss.